Last year I started this “year in review” format instead of a “best of” just to highlight some of my remembrances and oddities during the past year in theatre in St. Louis. And I’d like to start off with a bit of chest-thumping of my own- just before Christmas I reached the quarter-million mark for visits to my Stage Door St. Louis blog. Not monumental when you think of what Miley Cyrus and others have achieved in less than a half-hour, but I’m proud and honored that there are some folks out there reading- whether or not you agree with my thoughts (and always feel free to comment on the reviews and other posts- we welcome feedback as well as merely “browsing.”) I particularly like that so many have joined the link and receive notice on their email when a new review goes up on the blog. So let’s get down to some nitty and some gritty. ONE TWO MANY: Don’t correct my grammar just yet. I noticed that a lot of one-person and two-person shows were performed this year. The many? Well, there’s always a lot of shows with many in the cast but there were some that performed like well-oiled machines- each cog meshing to bring us stage magic. Shanara Gabrielle as Hannah Senesh. Twosies: …David Mamet’s “Duck Variations” with Richard Lewis and Bobby Miller (must have been Mamet’s only G- maybe PG-rated script). St. Louis Actor’s Studio shined again with Reginald Pierre and Chauncey Thomas wowing us in “Topdog/Underdog.” The Rep brought us two two-actor plays with “Venus In Fur” featuring Sarah Nedwek and Jay Stratton and then “Freud’s Last Session” with Barry Mulholland and Jim Butz. How about two great actors- Bobby Miller and Aaron Orion Baker teaming up to bring us the tear-jerker, “Tuesdays With Morrie” at Dramatic License? Max and Louie entered the mix of two-timing on stage with the delicious little comedy, Mrs. Mannerly, featuring Donna Weinsting and Charlie Ingram. “New kid on the block,” Theatre Lab, gave us a great opening to what should be an outstanding new group when they presented “Sunset Limited” with Robert A. Mitchell and Zachary Allen Farmer. Many’s: As I said, most plays have a larger cast but when they run as smoothly as if the were all of one mind, it’s a thing of beauty. We had several examples this year and this is just a short list of what I considered met that criteria (there were many others, of course). Mustard Seed’s moving, acapella war epic, “All Is Calm.” Two from Insight came through including “Our Town” and “1776.” The suspense and zany characters of the Rep’s “The Mousetrap” also worked brilliantly as did the surprisingly deft little comedy at HotCity, “Kosher Lutherans.” Also earning “ensemble” kudos are “The Cherry Sisters Revisited” and “Parade” at R-S Theatrics, “Waiting For Godot” at St. Louis Actors’ Studio, “Fly” at the Rep Mainstage and “Opus” at West End Players Guild. Once again, let me repeat that these aren’t the only “well-oiled” productions seen this year- just a quick sample of how it’s done and (before the angry cards and letters pour in) these may not have been the only one-person or two-person shows performed this year- just highlights of my recollections. BIGGEST CURTAIN CALL SURPRISE OF THE YEAR: At the end of the opening night of “Spamalot” at the Muny- after some technical delays held the curtain and a mostly flawless production followed, Monty Python’s own Eric Idle sauntered onto the stage to join the cast (and audience) of another reprise of “Always Look On The Bright Side Of Life.” It was evidently the first open air theatre production of “Spamalot” and the largest one-night audience as well. So he flew to St. Louis to join in the festivities. BEST ON STAGE WORKOUT: Shanara Gabrielle as “Hannah Senesh” at New Jewish Theatre. She goes through a series of jumping jacks, push-ups and several other exercises during a not-too-short span on stage. The “theatre seat potatoes” of us in the audience were feeling just a tad guilty (and winded!). 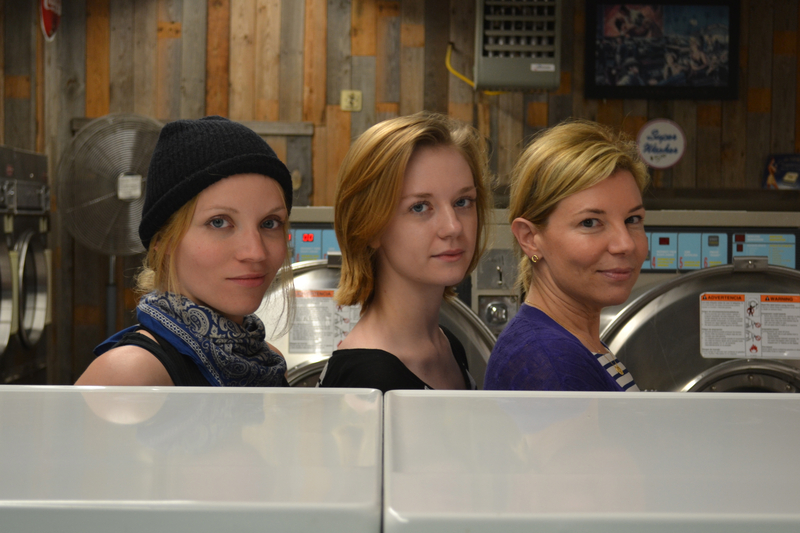 Rachel Hanks, Amanda Swearingen and Michelle Hand in OnSite’s “There’s A Gun In Your Goodbye Bag” staged in a laundromat. BEST NON-THEATRE SITES FOR ONSITE: This year the enterprising troupe at OnSite Theatre took us to a laundromat while drama unfolded among those actually folding clothes as they really used the laundromat. The audience sat on washers, dryers or the odd chair but the folders soon joined us in watching what happened during “There’s A Gun In Your Goodbye Bag.” Next stop: church trivia night at a local church hall as our intrepid actors plotted a robbery at a local credit union while we, the audience, played trivia. The trivia game was a ruse to cover their tracks and establish an alibi while pulling off the heist. Clever stuff and a fun night of trivia as well. 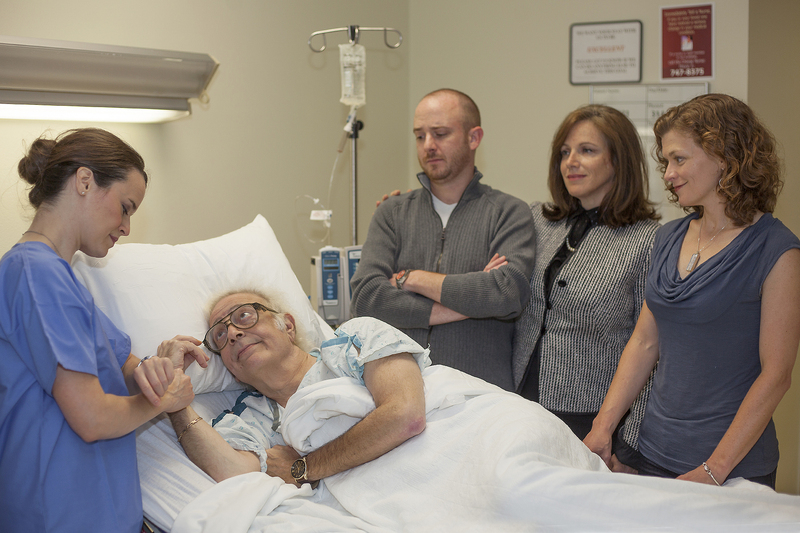 The cast of “The Lyons” at Max & Louie Productions. 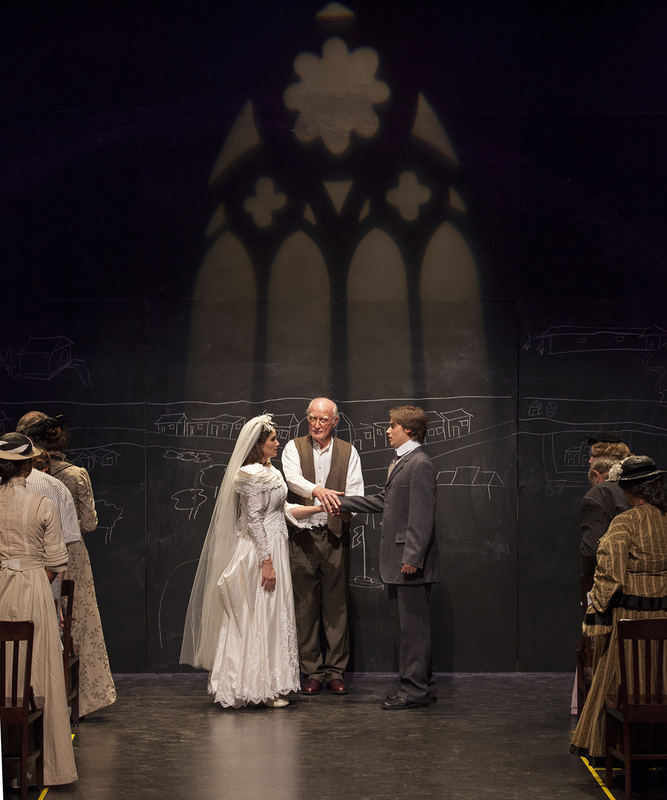 TWO PIECES OF SILVER: Judas wouldn’t have been happy with such a paltry sum, but we enjoyed two Nicky Silver plays this year on local stages as Max and Louie brought us “The Lyons” and St. Louis Actors’ Studio presented “Pterodactyls.” Two unmistakable Silver plays filled with plenty of laughs and pathos. EVENTS THAT MUST GO ON FOREVER: The second annual LaBute New Theatre Festival happened over the summer at St. Louis Actors’ Studio with Mr. Neil LaBute in attendance and offering one of his original one-acts in the mix. Other new plays by new and established yet aspiring playwrights were brought to us over two weeks. In addition, there were stage readings of high school finalists who had submitted original one-acts. It’s coming back again next summer so make plans now to attend as this has become a popular series. Ryan Foizey and his new Theatre Lab troupe also came up with a new- hopefully recurring event- the 24 Hour Play Festival. Five playwrights were given a theme, number of people in their cast and a random line that must appear in their play and then seven days to write a script. Then directors and cast were randomly chosen and they had twenty-four hours to put it on stage. The results were magnificent and remarkably polished. Of course, everyone involved probably crashed for the NEXT twenty-four hours, but what a delightful and fun night they gave us. 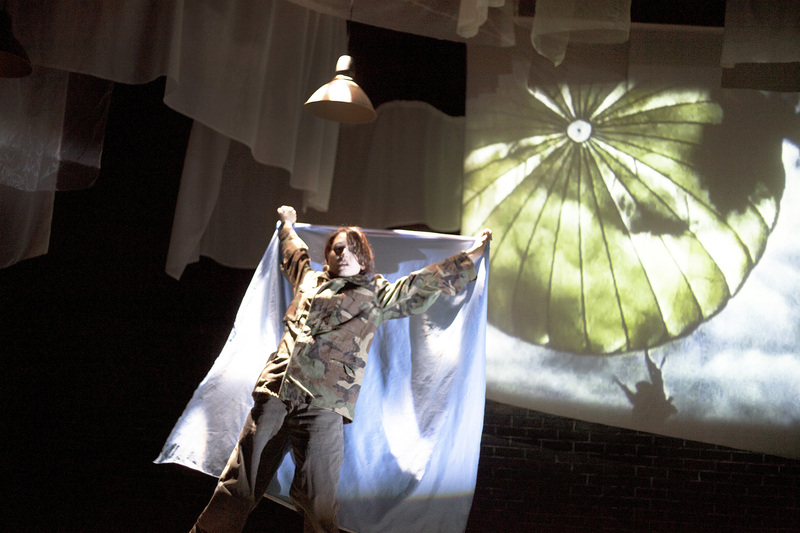 There was so much more in 2013 in St. Louis theatre but you’ve got to see for yourself. Get out there- see a play then see one the next week and the week after. Pretty soon you’ll see why the local theatre scene is just irresistible. This entry was posted on December 27, 2013 at 9:43 pm12 and is filed under Uncategorized. You can follow any responses to this entry through the RSS 2.0 feed. You can leave a response, or trackback from your own site.